• A reliable resource for conservative, political information in the Flower Mound area. • An innovative club that reflects the expectations and values of our members. 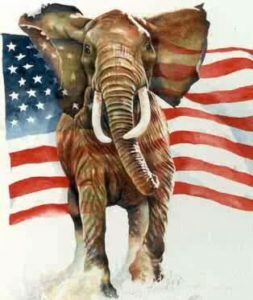 • A Republican Club that seeks partnerships while sharing insight and guidance with other GOP clubs. • A respected and respectful club that provides candidates a forum to present their ideas and is a critical path to winning elections. • A conservative club that encourages fellowship and outreach to all our members and the and the community at large.